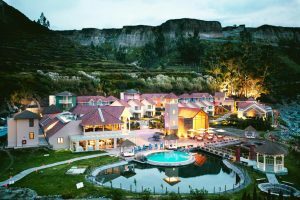 This hotel is a dream, rich in legends, Andean and colonial traditions, and stunning scenery. 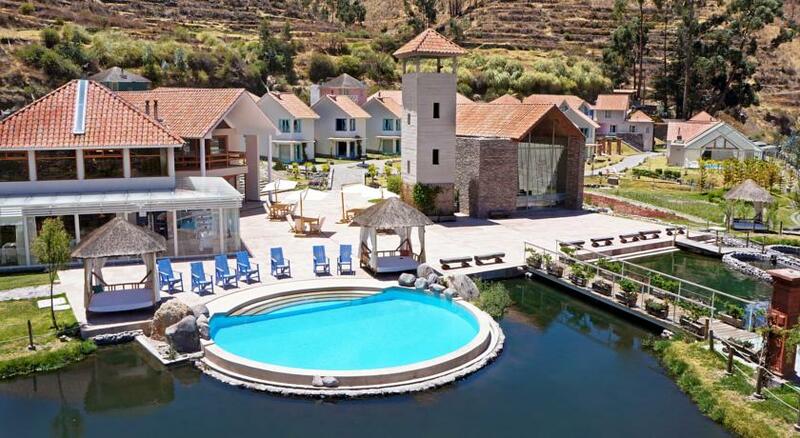 It is located in the District of Coporaque on the Colca riverbank, 3 hours from the city of Arequipa. Just 10 minutes from the town of Chivay, Coporaque is a place of legends with many colonial memories that will transport you to know the Andean traditions and mysticism, devotion of religious festivals and historical past that only few have experienced closely. 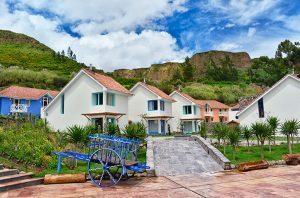 An old water mill located at the entrance of the hotel welcomes you to this “enchanted village”. 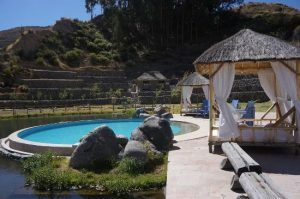 It is the best starting point to enter the magical world that covers the Colca Valley. It has an indescribable flora and fauna, besides the firmament of hypnotic colors crossed by the elegant flight of the condor, one of the most representative birds of Peru. 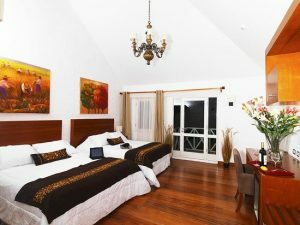 The hotel allows guests to enjoy a relaxing experience while they experience the natural beauty of the place, enjoying the majesty of the Andes mountains, lush gardens, and breathing fresh air. At night, the most amazing spectacle of nature that they can be part of is observing hundreds of stars in the sky, as well as many shooting stars that create an atmosphere of magic and enchantment.